This spider wove the internet! No, really! And I’m its queen. There’s still a few more to do. I’ll get them done today. You’re a gem! 🙂 Thank you! 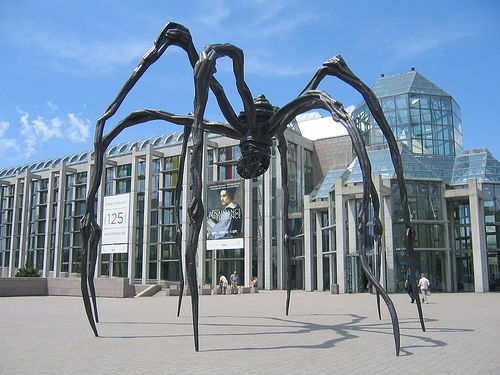 That reminds me of a few years ago, when the MCA in Sydney had some weird metal spider type sculpture, which felt like it was totally out of the NaNo piece I’d written the previous November. It gets kind of spooky sometimes! 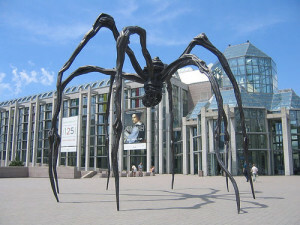 Metal spiders are very spooky!